Mitt Romney is making an announcement about running for Senate in two weeks. All indications point toward a run from the former Massachusetts governor and presidential nominee. Decision day for Mitt Romney comes on February 15. 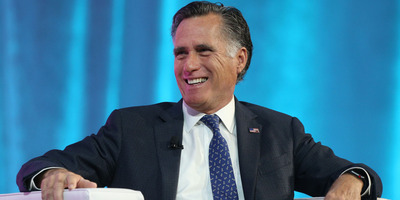 On Thursday, Romney announced that in two weeks, he will make an announcement about jumping into the race. All signs point to a Romney run for the seat currently occupied by Republican Sen. Orrin Hatch, who announced his retirement earlier this year. Romney, the 2012 Republican presidential nominee, would have a clear path to victory should he enter the race. Some Republicans have speculated that the run could be the start of something much bigger for Romney, with either a spot in Senate leadership or another bid at the White House in his future.